If you’re Ultimate Fighting Championship (UFC) middleweight contender Vitor Belfort, this probably isn’t the news you were hoping to hear. “The Phenom” recently told UFC President Dana White that he “deserves” the next shot at the 185-pound strap, following two spectacular head-kick knockouts over fellow top division contenders Michael Bisping and Luke Rockhold. Belfort was blown out of the water by reigning middleweight kingpin Anderson Silva when they first met for the title back at UFC 126, and trying to convince the 38 year-old “Spider” to extend another invitation — particularly with a pair of “super fights” looming — is a pretty tall order. Henderson hasn’t seen the 185-pound weight class since coming up lame in his Strikeforce debut, a five-round decision loss to Jake Shields in Nashville back in 2010. Since then, “Hendo” has been doing work at 205 pounds, with mixed results, but did offer to drop back down for a crack at the crown. That can happen when you lose two straight. And since he holds a 2006 win over Belfort under the PRIDE banner, he apparently makes “the better argument,” though I’m not too sure Silva would be keen on entertaining a second dance with Henderson, either, having dispatched the rugged ex-Olympian in March 2008. Then again, none of this really matters if Silva coughs up his belt to Chris Weidman in the main event of UFC 162: “Silva vs. Weidman,” which takes place tomorrow night (July 6, 2013) at MGM Grand Garden Arena in Las Vegas, Nevada. Belfort vs. Weidman? Yeah, I could see that. UFC Welterweight Champion Georges St. Pierre will put his title on the line for the ninth time against No. 1 contender Johny Hendricks on Nov. 16, 2013, in Las Vegas, Nevada. Ultimate Fighting Championship (UFC) President Dana White made the Georges St. Pierre vs. Johny Hendricks welterweight title bout official last week, and now the highly anticipated fight has a date and location. According to a report by Ariel Helwani on Tuesday’s (June 18, 2013) edition of “UFC Tonight” on FUEL TV, the 170-pound title match up will take place in Las Vegas, Nevada, on Nov. 17, 2013. At this time a venue has not been announced for the card; however, it will likely take place at the MGM Grand Garden Arena or the Mandalay Bay Events Center. White has said for a while now that he wants to bring “Rush” back to “Sin City” for his next fight, and now it’s official. Hendricks earned his shot at the French-Canadian’s belt after stringing together six-straight victories inside the Octagon, highlighted by wins over Jon Fitch, Josh Koscheck, Martin Kampmann and most recently, former interim UFC champion Carlos Condit. The 29-year-old claims he has an “easy as that” game plan to defeat St. Pierre and once he does, expects that he will have to give an immediate rematch and defeat St. Pierre for a second time. 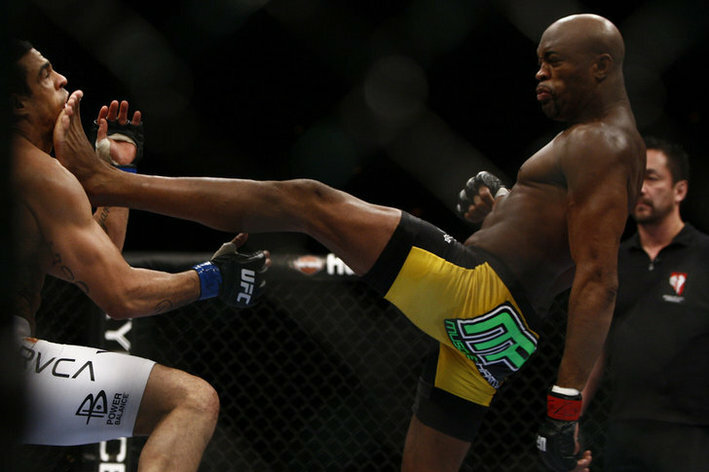 It was viewed as a possibility that Hendricks was going to get skipped over for a shot at a world championship if St. Pierre opted to participate in a “super fight” with middleweight champion Anderson Silva. However, since St. Pierre “absolutely knows” that “The Spider” is going to be defeated by Chris Weidman at UFC 162 next month, he is going forward and taking on the next big challenge in his own weight class. The coach of UFC Light Heavyweight Glover Teixeira says his man just has that one punch KO power that can knock out anyone, even UFC champ Jon Jones. “I think Jon Jones is great. I think anyone’s beatable. A couple of people have come close, maybe if that armbar was a little better from Vitor, or if Lyoto stayed a little more aggressive with his punches, anybody can get beat,” Hackleman said. “If anybody could hit him in the chin just right that would be one thing. Vitor came pretty close, caught him in a submission. I think Glover can beat anyone because he has such hard hitting that that could change any aspect of any fight ’cause he has that one-punch knockout power. 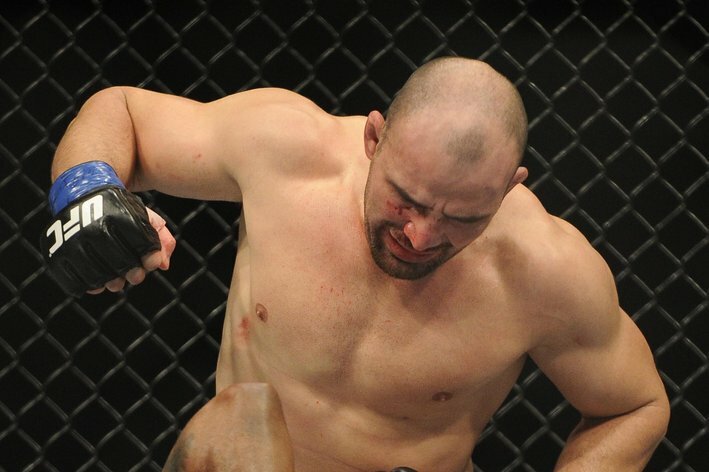 Teixeira submitted James Te Huna at UFC 160 last month. His next bout has not yet been booked. Bloody Elbow’s Tim Burke would like to see him face the winner of UFC 161’s Dan Henderson vs. Rashad Evans. Alexander Gustafsson is another top contender that’s out there. The division is essentially on hold while the UFC awaits the outcome of UFC 162’s Middleweight title fight between Anderson Silva and Chris Weidman. If Silva wins, the UFC is eager to book a “super fight” featuring Silva for it’s 20th Anniversary show this November. The leading contenders for that fight are Jones and Welterweight champ Georges St. Pierre. UFC welterweight contender Erick Silva is not in a hurry to challenge for the divisional title, and says he would be happy to fight 20 more times before competing for a world championship. While other may be trying to rush him there, Ultimate Fighting Championship (UFC) welterweight Erick Silva is in no hurry to reach to the top of his division following a first-round submission of Jason High at UFC on FUEL TV 10. Silva’s time to make a run towards the top of his weight class is inevitably coming, and when it does, the 28-year-old wants to be fully prepared for it. Even if it means taking another 20 fights to get the experience he feels is necessary. “I think it’s still too soon [for a title shot],” Silva said through an interpreter at the UFC on FUEL TV 10 post-fight press conference (watch it here). “I’m not very worried about the title bout right now, to be honest I’m not at all worried about that. With a 3-2 record inside the Octagon, the Brazilian still has a lot to do before challenging the very elite of the division, let alone reigning 170-pound champion Georges St. Pierre. Silva knows that, though, and while others may be eager to push him quickly, “Indio” is solely focused on taking it one fight at a time. The Team Nogueira trained fighter will happily fight 20 more times before challenging for a UFC title, but if he continues to impressively finish opponents in the first round like he did to High on Saturday (June 8, 2013) night, it won’t take nearly that long. Randy Couture opens up about UFC President Dana White‘s “over the line” choice to ban him from cornering his son, Ryan, who competes as a lightweight under the UFC banner. — Former Ultimate Fighting Championship (UFC) heavyweight and light heavyweight champion Randy Couture speaks to Ben Fowlkes of MMA Junkie about Dana White banning him cornering his son, Ryan Couture, for his UFC on FUEL TV 9 fight against Ross Pearson last April. 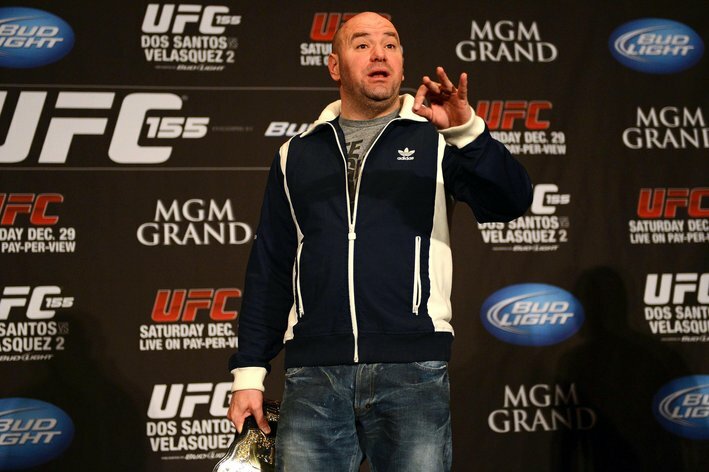 “The Natural,” who is also a UFC Hall of Fame inductee, feels it was “over the line” for White to purposefully prevent him from coaching his son on fight night after White publicly stated the second generation Couture wouldn’t be treated differently than any of the 400-plus fighters signed to the UFC roster. Couture’s relationship with White suffered a major blow when the 49-year-old jumped on board with Bellator MMA and Spike TV and even led the UFC boss to saying his former friend was “the furthest thing from a man” outside of the cage. Couture has distanced himself from any negative media involving White, but it appears he couldn’t help but comment on the bias he feels White holds against himself and the fruit of his loins. In response to Fitch’s comments on the WSOF 3 media call, Dana let loose in a rant about how well the UFC treated him throughout his tenure. Only a little over a week away from his first fight since being cut from the UFC, Welterweight Jon Fitch let off some steam about his former employer at the World Series of Fighting 3 conference call on Thursday. Fitch went as far as to say his time with the UFC was like being “in a hostile work environment.” Fitch said he felt like every time he stepped into the Octagon he was fighting for his job. In the time Jon Fitch was with us, we paid him $302,000 in discretionary bonuses – $302,000. That’s money that me and Lorenzo decided to give him above and beyond the deal that he signed. He also made $130,000 on performance bonuses for his two ‘Fight of the Night‘ bonuses. That’s a hostile work environment? 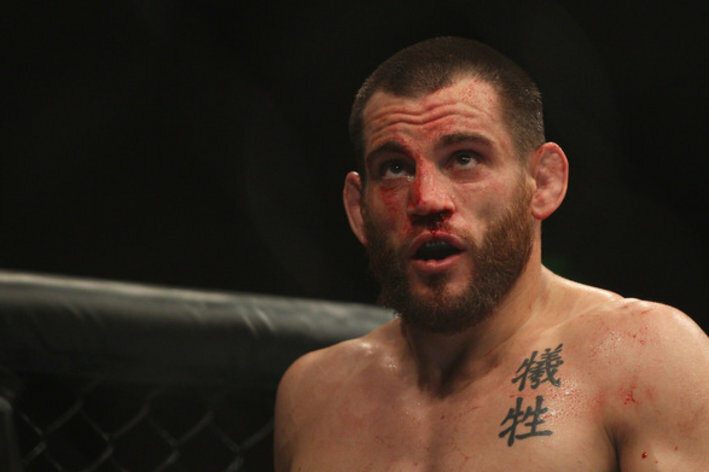 Everything that Jon Fitch said is complete and total bull—t. Jon Fitch said he was working under a hostile work environment and that he never had an opportunity and should have double the wins he had with us,” White said. “He was complaining about what he had to go through here, about people saying stuff under their breath to him and all this bulls—. Jon Fitch is so full of s–t. He’s f—ing delusional. First of all, he had every opportunity that anyone else had. 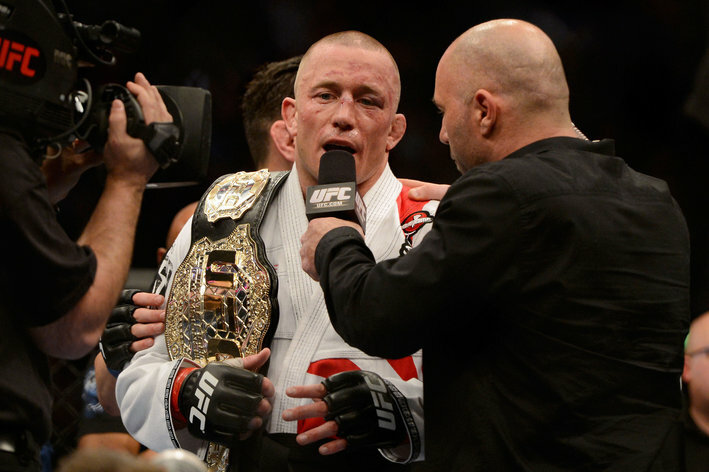 After Georges St-Pierre beat the living s–t out of him, did we treat him differently or anything? “Just to lay it out with facts, Jon Fitch lost to Georges St-Pierre at UFC 87. He had an opportunity to fight for the title, and he got destroyed in that fight. He fought to a draw with B.J. Penn in a top contender fight. Then he gets a chance to be a No. 1 contender again and gets knocked f—in dead in the first round by Johny Hendricks. What f—ing opportunities has he not been given? White went on to highlight the major PPV events Fitch has appeared on since losing his title shot at UFC 87. However, Dana neglected to mention that he was dropped to the preliminary card after losing to GSP, that his fight on UFC 100 didn’t air until after the main event, or that he lost his promised contender spot after beating Thiago Alves for the second time at UFC 117. White did point out that Fitch had gone 1-2-1 in the two years before he was cut from the promotion. 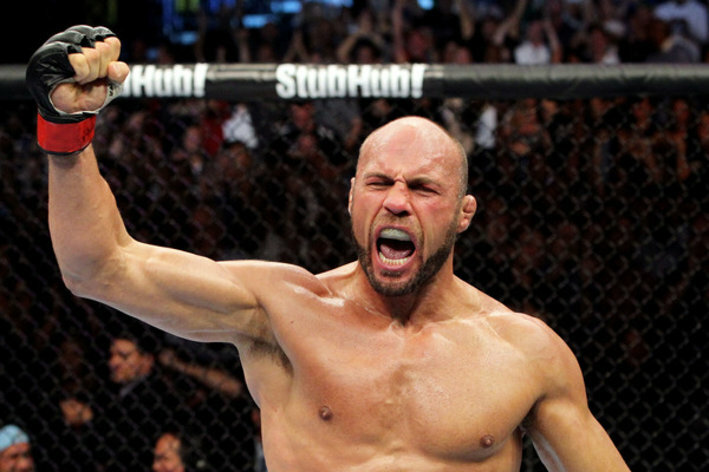 Fitch will appear as the main event at WSOF 3 against fellow UFC veteran Josh Burkman. The event will take place on takes place Friday, June 14 at the Hard Rock Hotel & Casino in Las Vegas, NV.